A new “element” enter into the hi-end view: the Feather of MAAT. His touch is able to bring out all your listening sensations. His reason is to pay tribute to the music by restoring the correct “order of things”: MAAT is an exciting new milestone for your emotions that comes from a perfect balance of contrasts and that will throw you into an immersive and impressive dimension of listening where everything is pure Balance and Harmony. A step beyond the coherence between speakers understood as decay rate and low harmonic distortion. Coherence between the sound heard and energy perceived by our sensorial system. 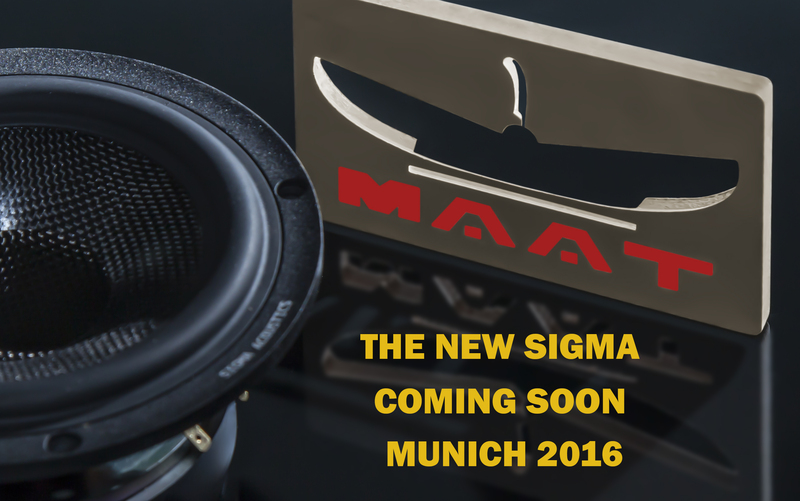 A long journey through technical innovations, know-how and new speakers exclusively born to MAAT. To perceive beyond. Besides audible. 100 dB – 8 Ohm -16-30000 Hz + or – 2 dB, crossover first order . MAAT awaits at the world premiere in Monaco from 5 to 8 May 2016 for a first “meeting” with a set-up of exception both valve and solid state, both analog and digital Hi-Res. This is because the technical evolution of the formats has now a partner with balance and harmony makes “justice” with a sound really close to Music.